Or so can be read from between the lines from blog of Joshua Robin, who states that he is working to "create a major new unannounced IP for a AAA game company" -- describing his work as "a sole writer for a major unannounced sequel" from Visceral Games, who developed previous Dante's Inferno title. Shortly after the statement, there's a link to the Super Bowl Commercial for the first Dante's Inferno game, which reading from between the lines states, that Visceral would be working on sequel for the game franchise. At this summer Visceral had job adverts, firstly looking for an environmental artist to work on "the sequel to a major new IP at award-winning Visceral game" -- which was continued few months later with another job advert to hire a new recruit to "work sequel to a major new IP at the awar-winning Visceral Games, creators of Dead Space and Dante's Inferno". 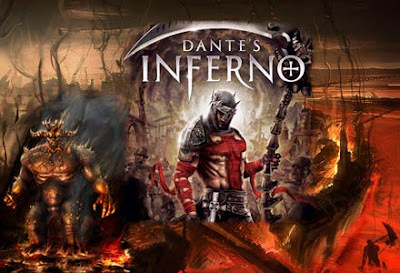 Dante's Inferno was an action-adventure game released at 2010 by Visceral Games and published by Electronic Arts for Xbox and PS3. The game was known of a medieval style with heaven and hell type of setting, taking place in Nine Stages of Hell, based very loosely on the classic Book. As a main character you had sort of medieval knight, Dante, with Death's Scythe and Holy Cross as weapons. He also was able to use numerous magical attacks. The game was viewed in 3rd person and gameplay was quite regular hack'n'slash. Dante's Inferno might not have been the most memorable game around 2010. I myself do love classic heaven and hell setting, but the game was quite basic, offering same old. It had quite average receiving in media with for example GameSpot rating the game 6.5/10 while average might have been close to 7.5. Console gamers might have given the game bit better receiving, some even loving it. We'll see what happens since this is all yet to be speculation if the game ever gets made, that's not to say there wouldn't be masses of action-adventure-games coming out lately, so Visceral better come up with something authentic and fresh changes compared to first. I sure hope so. I am looking forward to a sequel. I got my HD TV setup and my surround sound got installed.